Wind accounted for 47% of new generation capacity, followed by natural gas (35%) and solar (14%). Image source. In 2015, the U.S. Energy Information Administration predicted that capacity additions would begin to slow, and from 2018 to 2024 the agency believes additions will average less than 4 GW annually. Those figures are similar to what EIA noted last year: that renewable power made up 70% of new generation in the first half of 2015. But SNL’s data appears to show gas additions made up some ground, ultimately consisting of more than a third of additions last year. 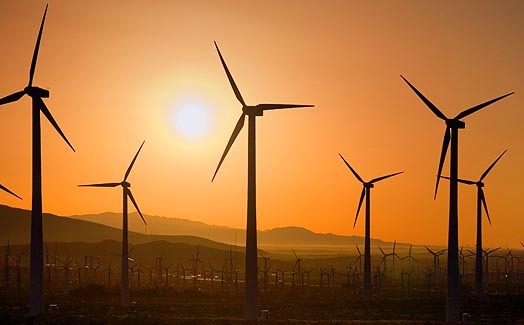 According to Utility Dive, in the end, gas and wind together totalled 11,848 MW of the 14,468 MW installed in the U.S. last year — 82% of the total. 2,010 MW of solar made it the third largest resource in capacity added in 2015, with 14% of the total. Record low prices have driven a big “build cycle” for wind energy, according to a study from the Lawrence Berkeley National Laboratory. 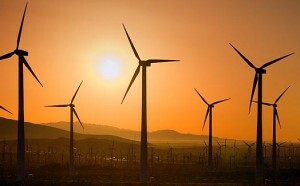 Low power purchase agreement prices and the Clean Power Plan could help spur wind’s growth in 2016, especially as the U.S. House of Representatives passed a $1.1 trillion omnibus spending bill that included extensions for the solar investment tax credit and wind’s production tax credit. According to EIA, new power additions through 2017 will average about 17 GW annually, with about half of that being non-hydro renewable power. From 2018 to 2024 EIA estimates capacity additions will average less than 4 GW annually. That’s a large shift from the 26 GW added each year between 2000 and 2013.